Which Is Daniel Craig's Best Bond Film? | Warped Factor - Words in the Key of Geek. Which Is Daniel Craig's Best Bond Film? 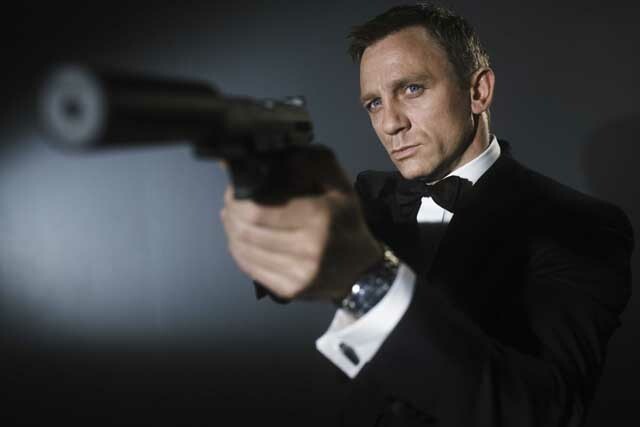 Tom Pheby asks, which is Daniel Craig's best outing as James Bond? After four films as Ian Flemings unflappable super spy, Daniel Craig has hinted (quite strongly) that Spectre may well be his last Bond movie. Although he's contracted to one more feature, if this is to be the case then what better time to look back at his time as 007, and decide which outing was his best. Craig's debut Bond film took the character back to his beginnings and allowed the producers to redefine the character through the new incumbent. A lot had to be thrown out to make the franchise credible again, including the cliches, gadgets, innuendo and outdated plot lines, making way for the darker, grittier realism which were present in the books and earlier films. Bond needed to relate to a modern audience, it had reached a point of stagnation and the makers had to show that character was capable of longevity alongside a new breed of spy, such as Jason Bourne. 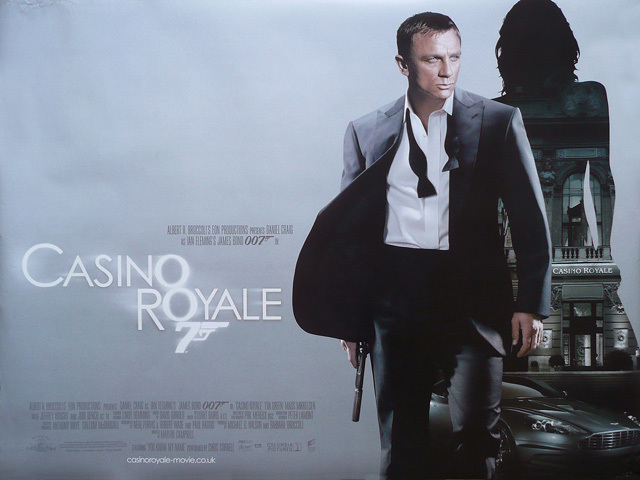 Casino Royale pulled this off quite nicely. Bond now had layers, even emotions which had not been seen since 1969 during On Her Majesty's Secret Service. Here, we got to see how James Bond earned his killer status as 007 and embarked on his first mission which placed him in Madagascar to keep tabs on a terrorist bomber/bomb maker who had gone freelance. In a radical departure from the failing franchise of the 90's, Bond was made to appear cold, callous, dysfunctional, flawed and edgy, shooting on sight and blowing things up for the hell of it. He manages to see things one dimensionally, much to the frustration of his employers, routinely killing off any leads before he has the opportunity to discover their plans or purpose. After trying to justify his actions at the Nambutu Embassy to an immensely hacked off M, she suggests he goes into hiding. Undaunted by the ramifications of almost levelling a building, killing an entire battalion of heavily armed soldiers and the deepening political storm back in London, he heads off in search of a lead which takes him to the Bahamas. It's here where he encounters greasy sleaze ball Alex Dimitrios (Simon Abkarian) and his curvaceous girlfriend, Solange (Caterina Murino). He learns that Dimitrios is employed by a character called Le Chiffre, played by the excellent Mads Mikkelsen. Le Chiffre is banker to the world's terrorists and the only way to corner him is by gatecrashing a high-stakes poker game in Montenegro at Le Casino Royale. The action sequences certainly pushed the series to new heights and Craig gave authenticity to the cold hearted assassin which had all but disappeared over time. It was a triumphant return to the big screen, one that few could have imagined after a series of legal wrangles kept it in the courts instead of the cinemas. Craig wasn't everyone's choice as Bond, some said he was too blonde, others that he was not attractive enough (! ), but physically he was perfect for the part with looks that had a certain ordinariness to them, making him all the more believable. Licence to thrill moments: Staircase fight, Aston Martin somersault and sinking building. Craig's second Bond film followed the previous outings timeline, which made it extremely refreshing and interesting from a viewers perspective. Quantum of Solace picks up after the death of Bond love interest Vesper Lynd and the abduction of the sinister Mr White whom he delivers to a prickly M (Judi Dench) for interrogation via the boot of his Aston Martin DBS V12. The plot suddenly thickens as M's bodyguard tries to kill his boss and then quickly takes flight, pursued by Bond across the rooftops of Sienna Italy, ending up with another dead body. White had revealed that he was a member of an organisation that neither British or American intelligence were aware of and which must be infiltrated to prevent unnecessary carnage and governments being overthrown. This film is a splendid addition to the re-emerging franchise and delivers fast paced action and glossy production. It does, however, fail on one count because the villain, Dominic Greene (Mathieu Amalric) is unconvincing. He has the stature of a 12 year old prefect counting heads at School assembly and provides little or no threat as the baddie. This is the only element I can find which detracts from an otherwise excellent film. 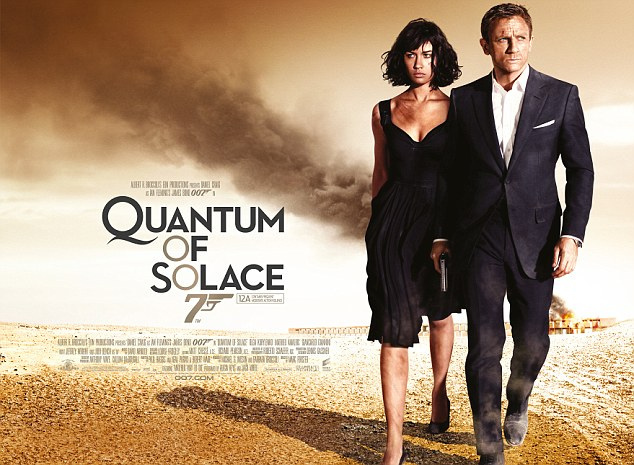 The mind boggles at the amount of nonsense written about Quantum of Solace, some have declared it weaker than Casino Royale , yet I found it to be a far better in many respects, it certainly didn't scrimp on action that's for sure. Having read various disapproving reviews I wondered if we had all watched the same film? But I guess it's a subjective affair, so I'll leave it there. Licence to thrill moments: Roof top chase and end action sequence. It's at this point that I realise I'm likely to be out of step with a great many Bond fans as I declare that Skyfall isn't the best of Daniel Craig's outings as 007. Although it had all the usual elements that we've grown to expect from Broccoli and Wilson, it seemed to lose its way in the final third and ended up a bit of an anticlimax. It felt a tad disjointed to me and extemporaneous in places. If I was to offer one example of this then it was probably the way that the psychotic Raoul Silva (played superbly by Javier Bardem) met his end. You see, I like to see the baddies blown apart (Diamonds are Forever) or set ablaze (The Living Daylights), even electrocution is an option worth considering (From Russia with Love and Goldfinger) but Silva just went with a whimper, which was rather annoying. Having said that, Skyfall is not a dreadful film by any means. We observe Bond in a partial meltdown, disappointed and disillusioned after M (Judy Dench) orders a kill shot on the roof of a speeding train which misses its intended target, hitting Bond instead. Skyfall employed a simple McGuffin plot, a list of operatives has been pilfered by someone with a personal grudge against M, and is placing operatives in grave danger. 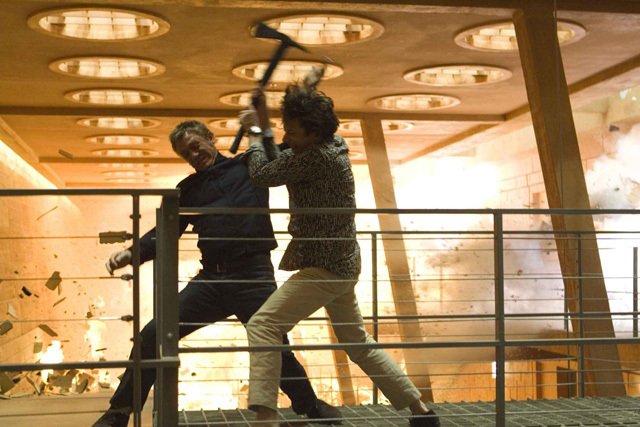 This plot give us the who, what and why format ensuring Bond has the motivation to dust himself down, sober up and pursue the villain until we reach its natural conclusion. 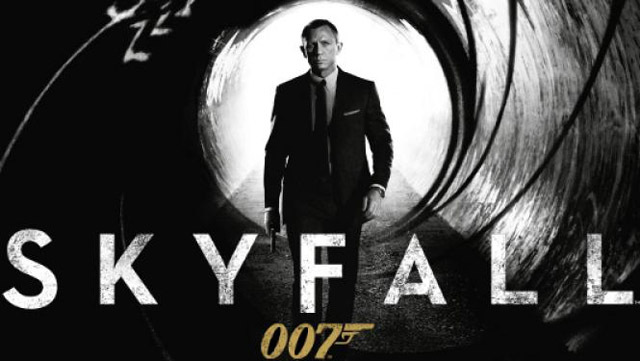 The script was solid, Craig was his usual excellent snarly self and we were introduced to Moneypenny (Naomie Harris), Q (Ben Whishaw) and Mallory (Ralph Fiennes), all new players within the reboot which helped to make Skyfall the most successful film to date with audiences and critics alike, grossing $1 billion in the process. Licence to thrill moments: Bond falls to a watery grave, the Escape of Silva and the tube through the roof. Spectre really hits the ground running, with Bond stalking a target in Mexixo as part of previous M's (Judy Dench) dying wish and uncovering the one connection between all of his previous three outings.... Himself. The action is breathtakingly brilliant, staggeringly realistic and well worth the slightly inflated admission fee. Craig seems to have really got under the skin of Bond, not since the heady days of Connery has anyone epitomised the character so well and delivered with such panache. 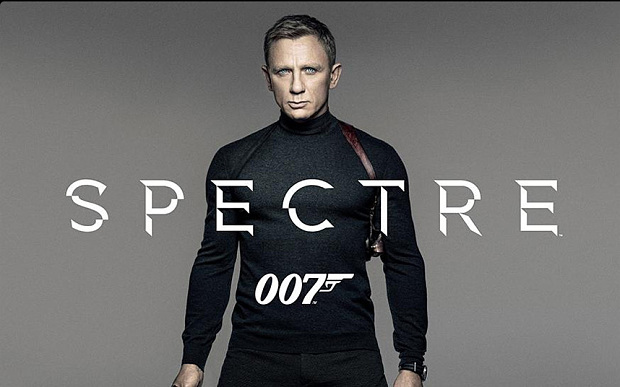 Coupled with the considerable talents of director Sam Mendes, Spectre feels comfortable, effortless and smooth. There's a healthy dollop of humour throughout but nothing that trivialises or reduces it to the corny parodies of yesteryear. It's a well paced, super slick, gloriously glossy film, executed with bags of energy, placing Bond back where he belongs in the affection of the public. There were nods to the past, notably with the fight on the train with mountainous muscle head Mr Hinx (Dave Bautista) which conjures up memories of Connery against the Icy Robert Shaw, but this was better by a mile. There are a few things to grumble about, mainly that the script seems to have been tinkered with and as a result loses a little momentum. The film does come apart slightly in the final act but not enough to have a detrimental effect on it as a whole. 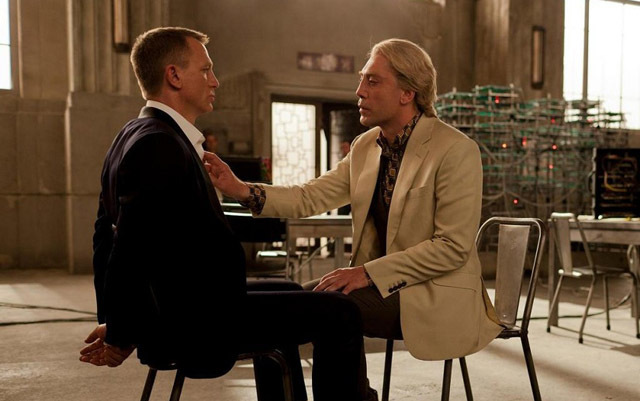 If I were to gripe about one more thing it would be that the villain of the piece, Ernst Stavro Blofeld (played by Christoph Waltz) is not better defined. He could have been more of a menace, but it seems that the focus was entirely on Bond and the action, which was a pity. Any shortcomings can certainly be overlooked because when Spectre ignites it does so with enormous amounts of style and dynamism. The ending is open to interpretation and could indicate either the closing of a story arc or Craig's departure. This is without question the most complete of the four films, even though its plot is simplistic and thin. The box office receipts are still being counted but its thought that it will fair even better than Skyfall by the time it ends up on DVD. I will certainly add it to my collection, that's for sure. Licence to thrill moments: The opening sequence and the fight on the train. So which of Daniel Craig's Bond films is the best? 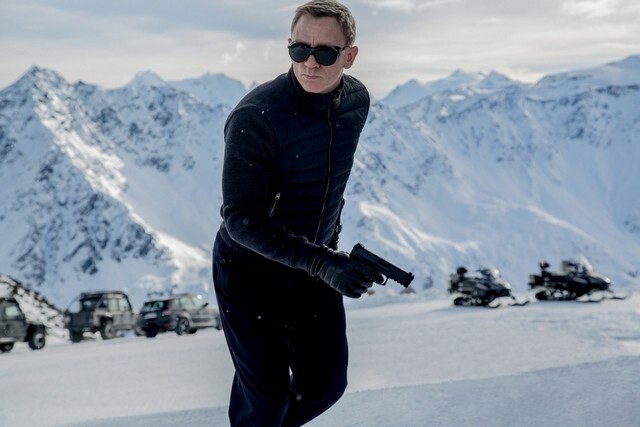 Well if it does turn out to be his final performance as 007 then he has saved the best for last, because, for me, Spectre is Craig's top outing as the smooth assassin. Followed closely by Quantum of Solace, with Casino Royale and Skyfall in joint third place. Will there be another? Or have we said 'Bon(d) Voyage to Daniel Craig'? In the meantime what's your favourite Daniel Craig Bond film?